The PSU (power supply unit) is often the device which acts as a hurdle for entry-level system upgrades or even an aging computer configuration, the overall wattage capacity dictates whether certain products can be installed. The graphics card is often the piece of hardware which many users will desire to upgrade but traditionally require extra wattage to permit usage. So when we heard that ASUS had designed a GTX 950 which ran directly from the motherboard PCI express lane as opposed to needing any power supplied from the PSU, we were especially intrigued. In the spotlight today is the GTX950-2G – otherwise known as GTX 950 Unplugged. This graphics card seeks to liberate system builders who simply want to upgrade their graphics card but perhaps lack the extra juice from the PSU. As mentioned, this GTX 950 is able to operate from the PCI express lane and yet still delivers the same great 1080p performance as other GTX 950s – ASUS has also added in a dual-fan cooling solution which keeps noise and temperatures down. 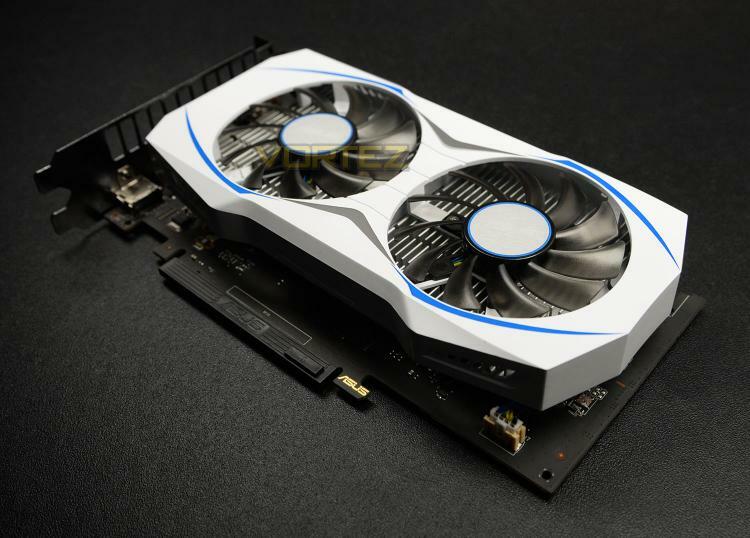 ASUS GTX 950 is an astonishing graphics card - with distinctive white coloring. Featuring a dual fan cooling technology, ASUS GTX 950 delivers 2X greater airflow and 3X quieter performance. It also comes equipped with AUTO-EXTREME technology and Super Alloy Power II for premium quality and best reliability.With 14-days free premium license of customized ASUS GPU Tweak II and XSplit Gamecaster utility, ASUS GTX 950 enables you to squeeze every last drop of performance and lets you stream or record your gameplay instantly. It also comes with a World of Warships invite code for a free 15-day premium account and an exclusive Diana Cruiser. Claim your code and win some battles!